This is the first ever translation into English of the Autobiography compiled by Angeliki Vellou Keil and published in 1978. 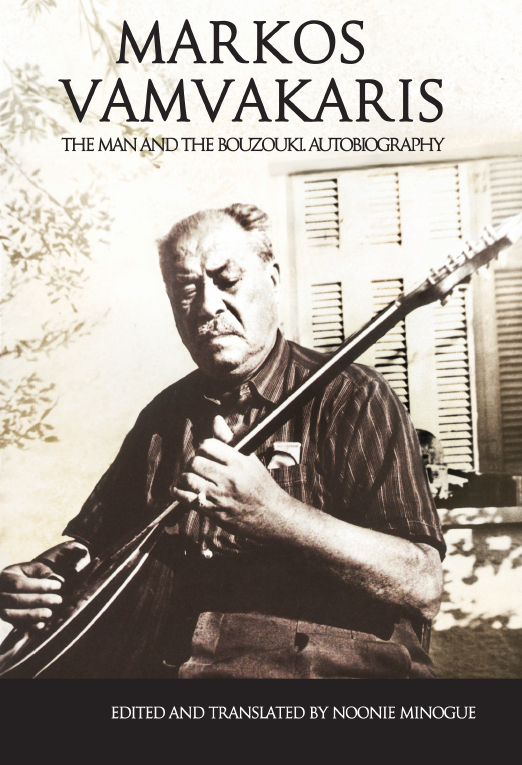 It opens a window onto a time of extraordinary creativity in the history of Greek music, an explosion of song writing in the interwar period. Its composers wrote about themselves and each other, the rituals of hashish smoking and the landmarks of a now vanished city. Markos the repentant sinner and living legend, looks back at childhood idylls in Syros, the arrival of the Asia Minor refugees, the terrible years of the German Occupation, the ceaseless love affairs and disappointments, and the triumphs of the bouzouki. He offers a rare insight into the lives of toiling workers and the lowlife of one of the world’s most ancient ports, where East meets West. Out of this melting pot he produced the classic songs that Greeks of all ages still love and know by heart.